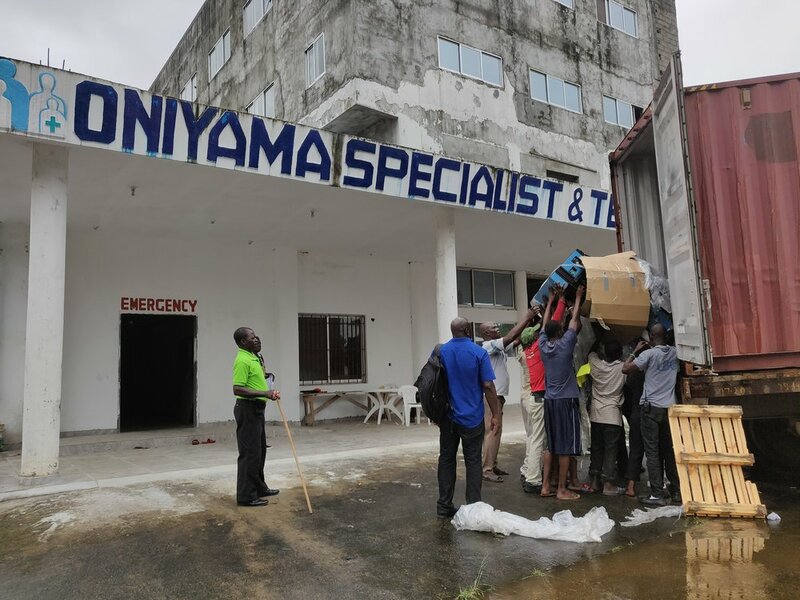 In Mike’s second journal entry from 2019, he discusses working with an engineer to inspect the hospital/clinic building, provides an update on the hospital opening, and discusses snakes in Liberia. 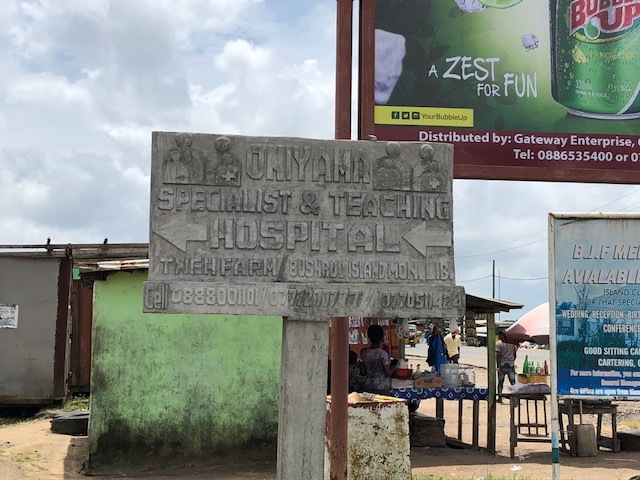 In Mike’s first journal entry from 2019, he provides an update on the status of the hospital opening and discusses his bout with malaria and the troubled economic situation in Liberia. Union Market RVA once again was our host for an event to raise awareness and funds for our programs in Liberia. Join us at Union Market in Richmond where Partner Liberia Co-Founder Mike Davis will be on hand to discuss his latest trip to Liberia and exciting developments in our delivery of sustainable health-care to Liberia. New staff member Liam Carstens will be in attendance as well with information on our latest projects and partnerships. I headed back to Liberia on July 16 th with my good friend and colleague Jim Tuttle. Our plan this trip consists of new boundaries for me – I’ll be doing much of my normal routine here, checking on the orphanages, preparing some new solar sites (one orphanage, one vocational school), teaching at the RT school and the medical school here, and working at a few hospitals/clinics. Jim, however, will be making a film! I think I journaled about Jim last fall…Jim and I met in Liberia then and buddied up for the trip. When he was free, he accompanied me and took fantastic photos (and shared them with me!). Jim is a freelance photographer and filmmaker. (which I found incredibly flattering and exciting). He is now making two short documentaries about us; one about the development of respiratory care in the country and another about solar power. We flew out of Dulles through Brussels and made it here late Sunday after 24 hours of travel, greeted by a smiling Joe (the best way to arrive!). We managed to have a remarkably busy and productive first week. We began Monday with a stop at JFK Hospital. I found a few of our graduates (or rather, they found me…I stick out a bit here) working in the pediatric ICU and ended up busy at work within my first ten minutes in the hospital. Two very sick children – a 3 month-old with a congenital heart defect and a 7 year-old that accidentally drank caustic (something similar to Dran-O, I gathered) – were in severe respiratory distress. I worked with our graduates to stabilize the patients and do a bit of teaching, then set up a clinical schedule with them for the rest of the trip. We finished the day with a dinner meeting with a journalism colleague of Jim’s. We spent Tuesday settling the rest of our trip needs (cell phones, internet, etc) and working at the Respiratory College. Wednesday and Thursday were spent in Buchanan. Always a happy trip, we checked in at MODUC orphanage and Jim filmed an interview of Mother Beh. A happy note. Visiting MODUC is always a happy event for me, however, this trip had an added bonus – everything was great at MODUC. This may seem like a small thing to celebrate, maintaining status quo…but…over the past few years this has been a struggle, especially at MODUC. Two years ago, we were trying to keep the kids safe and healthy through the Ebola outbreak; last year, we lost Father Beh. Solar power has been a struggle there, as, MODUC is the furthest location from our solar team and therefore is difficult to maintain. This visit…everything was fantastic. A truly great surprise. The solar generator is working perfectly (indicating that not only has our team set it up well, but, also that MODUC has learned how to maintain it); Mother Beh is healthy and happy; the kids are all well. Everything we are striving to make sustainable has at least done so since the last visit in March. I cannot really hope for more. Oh, wait…I could hope for more. We had an added surprise…frankly, perhaps the biggest news for MODUC in the past few years. We’ve been struggling for years to find a way to keep MODUC running after Mother Beh can no longer take care of everything there. This is a depressing subject to think about, but, nonetheless paramount. Mother worries about it and brings it up every time we visit – “What will happen to my children when I am no longer here?”. Well…we finally have a solution – Miss Esther. Esther runs the pre-K/daycare that the younger children at MODUC attend during the week. Apparently since our last visit, Esther has become compelled to take over MODUC when the time comes. An amazing woman from Buchanan who already knows the children will keep MODUC moving forward…such an unbelievably perfect solution. Other than a minor case of food poisoning (I shouldn’t have eaten the rancid pepper sauce…), the trip was spotless. And then Friday…finishing up the first week with another victory. On Friday, we managed to visit three orphanages spread throughout Montserrado County, a rural vocational school, and our dear friend Manfred in one day. I don’t know that I have ever pulled off such a feat, and, I certainly won’t expect that to be the norm for the future…I’ll just celebrate it when it happens. The two orphanages we visited that already have solar were in great shape, and, the other is ready for our winter installation. Manfred is working on a new “special piece” for me that I am excited to see (something involving a caduceus). My food poisoning has passed, and, we are on track for a week of medical work starting on Monday. Here’s to hoping the trip stays on this course!